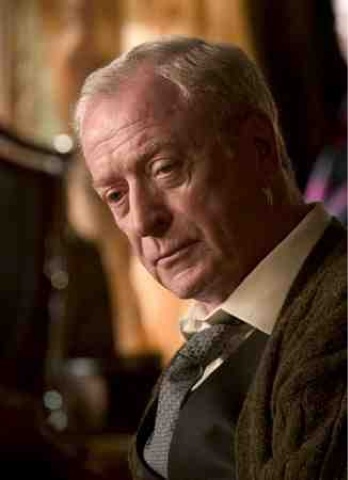 After last week's entry about Anne Hathaway, I was asked by a faithful CinéBlog follower to make this week's 'In A Nutshell' devoted to Hathaway's Dark Knight Rises co-star, and British institution, Sir Michael Caine. At first I was happy to oblige, given that Caine is a hero of mine. Then it occurred to me that this was going to be trickier than first thought. The very point behind this feature is to give a quick and concise summary of a Star's career. How do you sum up a career that's spanned 60 years! Well, I'm going to try my best, but don't be surprised if this is a slightly bigger Nutshell than previous editions. Like a genetically-modified, gamma-ray-exposed mega Nutshell, that would take a squirrel years to crack, only to discover its just the shell and not a tasty nut, and so kill itself. Yes, it's going to be squirrel-suicide big. Born Maurice Mickelwhite, he dropped out of a school at 15 and lied about his age to join the army, going on to serve in the Korean War. It wasn't until he left the forces that he first gravitated towards acting. It was then, upon the advice of his agent, that he adopted his stage name. His first major role was as Lt. Gonville Bromhead in the 1964 war epic Zulu. The performance as an aristocratic officer shot him to international fame, and kickstarted a fantastic run of films in the 60's including: The Ipcress File, Alfie, Gambit, Playing Dirty, Battle of Britain & Billion Dollar Brain. This impressive streak led to Caine becoming one of the biggest actors in Britain, perhaps only second to 007 himself, Sean Connery (a close friend of Caine's). Michael Caine was seen as a model representation of Britain during the 60's: young, working-class graft, mixed with all the cool and confidence of 'swinging' London. So how does he cap off 10 years worth of success? With perhaps his most memorable role, as Charlie 'you're only supposed to blow the bloody doors off' Croker in 1969's The Italian Job. Not a bad decade for Sir Michael. 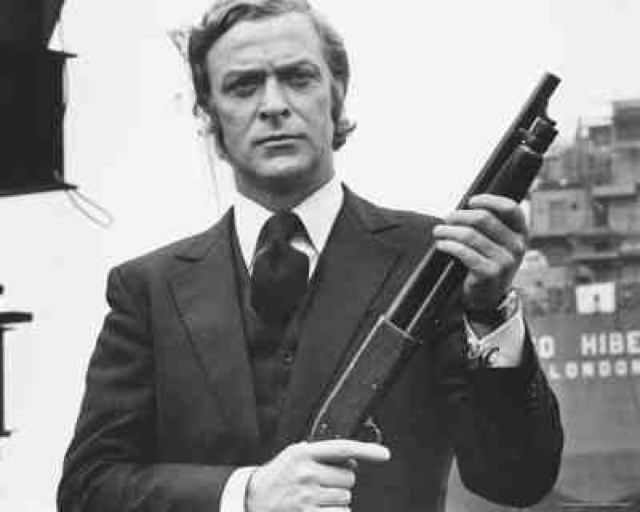 He kicked off the 70's in style too, at his Cockney best in gangster flick Get Carter. However, Caine's prolific form seemed to run dry in the 70's with a series of flops and below-standard offerings. The Man Who Would Be King, The Eagle Has Landed & A Bridge Too Far are all undisputed gems, but the rest of the decade feels like a hangover after the dizzying heights of the 60's. The 80's, like they were for so many people, were inconsistent times for Michael Caine's career. For every great film he made, there was a stinker: for every Escape To Victory or Educating Rita, there was a Jigsaw Man or Blame it on Rio. In a rollercoaster decade of highs and lows, Caine was able to finally reach the pinnacle of his profession by winning an Academy Award for his performance in Hannah and Her Sisters. The 1990's were a comparatively quieter period for Caine, now pushing 60 years old. Of the handful of films he made, only to really jump out as notable. The first being one of the greatest Christmas films of all time, A Muppet Christmas Carol. The second being in 1999, in which Caine won his second Oscar for his role in The Cider House Rules. It was in the new millennium that Michael Caine's career, now in its fifth decade, had a sudden resurgence. That is in no small part down to a very special partnership he formed in 2005. After a couple of comedic turns in Miss Congeniality and Goldmember, Caine met with a then relatively-unknown British director named Christopher Nolan, about the possibility of a role in an upcoming Batman reboot, Batman Begins. Since then, Nolan has gone on to reveal himself as a God of Film and the saviour of cinema, claiming Caine as his own personal good-luck charm. He has appeared in every Nolan film since then: The Prestige, The Dark Knight, Inception and The Dark Knight Rises. Fitting the bill as the loveable father figure, Michael Caine has reached a new generation of fans, whilst churning out some his most compelling performances to date (expect a Best Supporting Actor nomination for his last Batman outing). So there you have it. As brief as possible: the Herculean career of Sir Michael Caine. From leading man to father figure; an undeniable national treasure and arguably the greatest British Actor of all time.